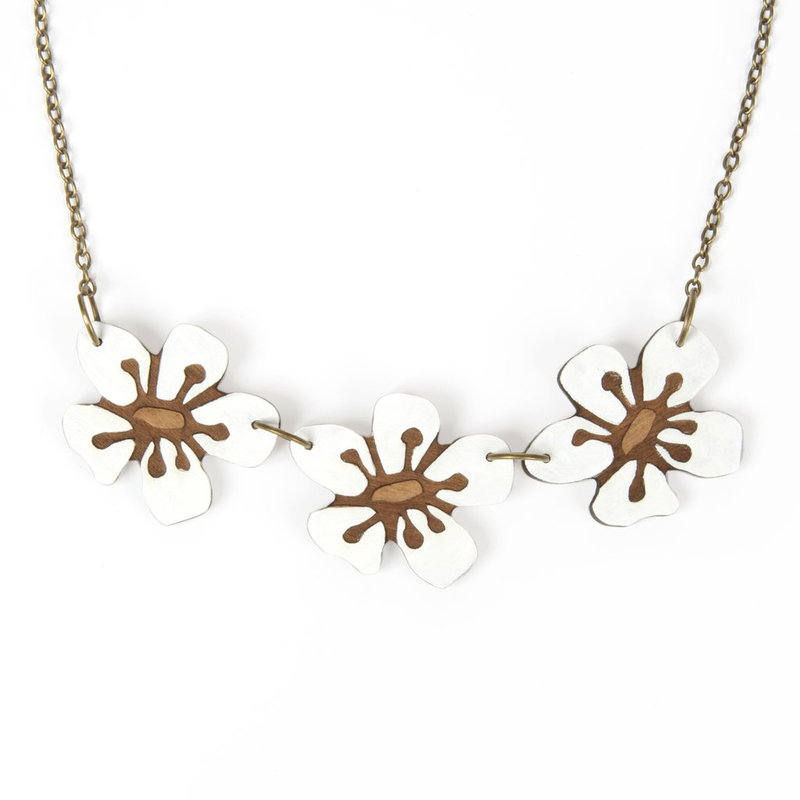 This gorgeous triple Manuka flower necklace is made from recycled Rimu which is sourced from old cabinetry. Each flower measures 4cm, they are each laser-cut then hand-painted in white. The chain is approx. 50 cm long and feature a lobster style clasp for easy attachment. Manuka is native to Aotearoa, New Zealand and it most commonly produces white flowers, but sometimes pink. Natty are a Wellington based design studio, consisting of Cat McKay and Fiona Gibb. Their gorgeous range of recycled Rimu jewellery is inspired by the flora and fauna of Aotearoa.